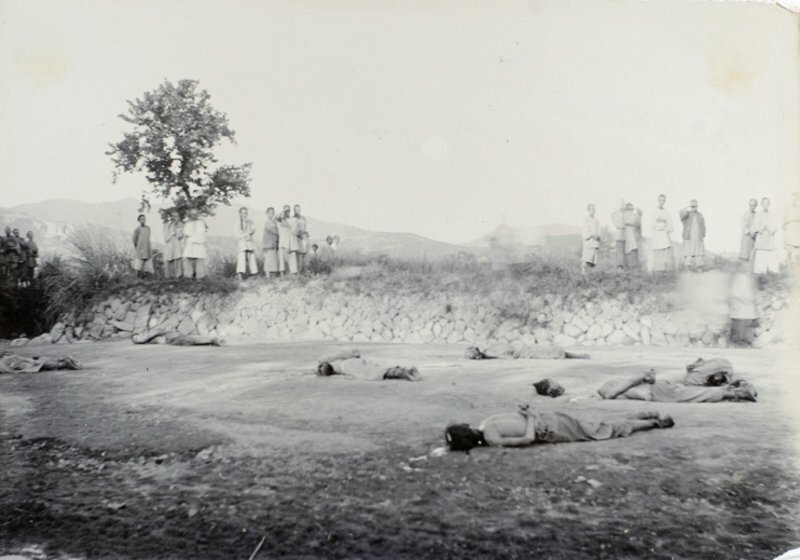 On the morning of September 17, 1895, in the presence of the British and American consuls, seven perpetrators of a Chinese massacre of western Christian missionaries were beheaded at Foochow. 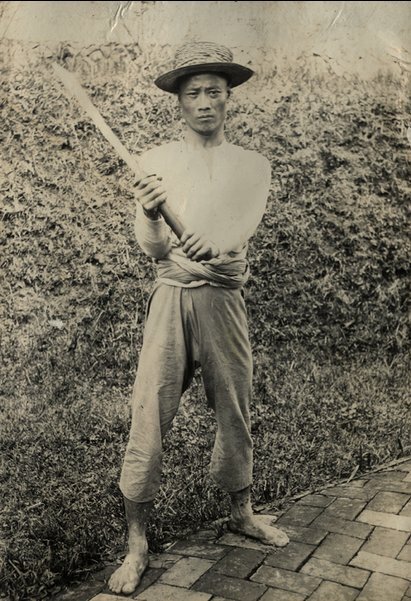 Anticipating the better-known Boxer Rebellion by four years, the Kucheng Massacre (there are many other transliterations of “Kucheng”) was likewise a response to the Celestial Empire’s frustrating second-class status as against European interlopers. 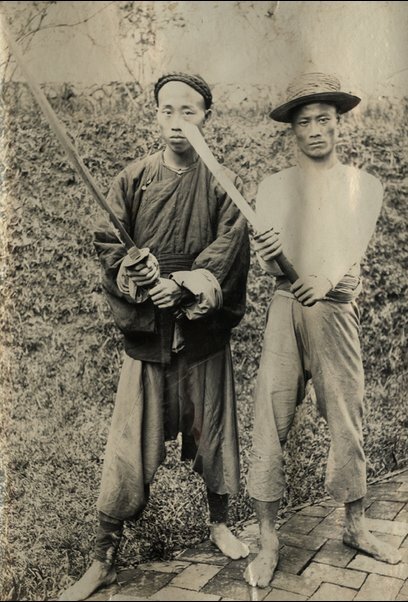 Christian missionaries had been a point of friction in China for decades. 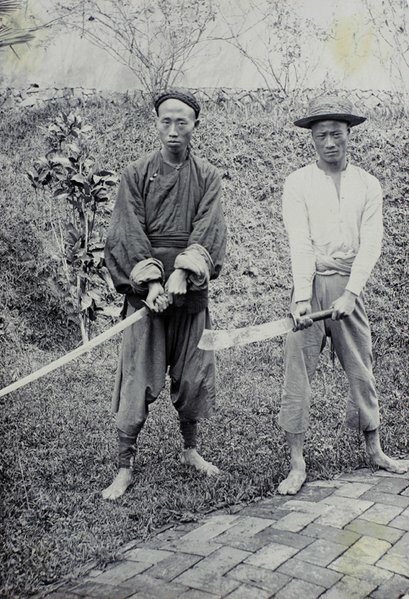 Though their rights to proselytize had been guaranteed in a hated treaty dictated to China by force of arms, they often met resentment or worse on the ground. Word of the carnage struck western powers with similar force. Incensed newspaper-readers literally demanded** gunboat diplomacy, and literally got it, especially when Chinese authorities drug their feet on the condign punishment the missionaries’ countrymen were clamoring for. All this put British diplomacy on a sticky wicket, which Welch (pdf) deals with in detail. To satisfy the domestic audience, the government had to be seen to be taking a hard line on avenging the outrages; at the same time, London was wise to the Chinese state’s shakiness and wary that a “barbarous holocaust” perpetrated against the Vegetarians would trigger a mass backlash and bring the whole thing down. An obdurate Chinese viceroy impeded the quick resolution everyone was after by making inflammatory public proclamations against Christians, and releasing without explanation six of the thirteen men who had initially been condemned to death in the month of August. The seven who were executed on this date were therefore only the vanguard of 26 humans ultimately put to death for their involvement in the atrocity. 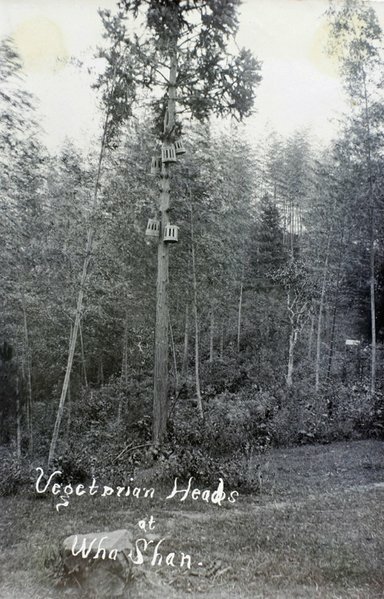 Some of the execution photographs that follow are Mature Content. They’re obtained via Visual Cultures in East Asia; some also available at USC Digital Library. Raids and investigations to bring the Vegetarian movement to heel continued for several months thereafter, and the whole affair ultimately was quelled without doing any of the wider damage that might have been feared — not even to missionaries who continued pouring into China. And that, effectively, kicked the can down the road on the anti-foreigner sentiments afoot in the land … sentiments that would find much costlier expression a few years later when another secret society kicked off the Boxer Rebellion. ** This was not universally so. The wife of missionary Stephen Livingston Baldwin, who knew some of the victims of the attack, urged a “charitable” response and sensitivity that “the Chinese feel that all the world is against them, and they are not far from right.” (New York Times, Aug. 10, 1895) In letters responding to intemperate coverage elsewhere, she acidly compared (pdf) western editorialists’ high dudgeon to their look-forward-not-back dismissal of recent stateside anti-Chinese violence. It was ten years yesterday since more Chinese were killed, and burned alive and left to die wounded, in one hour, at Rock Springs, Wyoming (the very same Territory in which the recent massacre occurred) than have been Americans and English in China in the thirty-four years I have personally known that land, being a resident there twenty years and closely connected with it ever since. Ten years yesterday since that awful Rock Springs massacre, and up to date no one arrested, much less punished! The anti-Chinese papers of the town and neighbourhood gloating over the awful details and assuring all that there would be “no Congressional investigation,” and no waste of “enterprising newspaper eloquence” over the woes of the Chinese, “though their blood flow like rivers, as they had no votes and no friends.” In less than four weeks after the Ku-Cheng massacre, arrest, investigation and execution have all taken place for the Ku-Cheng massacre. Would that our colored, red and yellow brethren, so helpless in our so-called civilized and Christian land, had some power behind them to bestir Ministers Plenipotentiary, wave flags, and run gunboats to the front, to bully, if necessary, our pusillanimous Government into some sort of civilization — I will not say Christian justice!